Anyone with even the slightest interest in theater has probably seen a production or two of William Shakespeare's Hamlet in their lifetime. Considered by many to be Shakespeare's—if not the world's—greatest play, it's one-third ghost story, one-third dysfunctional family drama and one-third revenge tale. It's also now the first-ever Shakespeare play to be mounted on the Nellie W. Codding stage at the Spreckels Performing Arts Center. Artistic director Sheri Lee Miller helms the production, which runs through Feb. 17. Something is rotten in the state of Denmark. A spirit claiming to be the late king has appeared to Prince Hamlet to inform him he was poisoned by his own brother, Claudius, who then married the widowed Queen Gertrude and usurped the throne. The ghost has one simple request of Hamlet—revenge! Miller has gathered an impressive roster of talent to essay the Bard's classic roles. First and foremost, there's Keith Baker as the brooding prince. Baker is a marvel to watch and to listen to as Shakespeare's words come trippingly off his tongue. Peter Downey is magnetic as the scheming Claudius, shading his villainy with a glimpse into his humanity and his true love of Gertrude. Eric Thompson's Polonius brings a welcome lightness to the stage and is sorely missed upon his "departure." Chad Yarish as faithful friend Horatio, Danielle Cain as the easily swayed Gertude, Ivy Rose Miller as the doomed Ophelia and the entire supporting cast do honor to their roles. The stark yet imposing set by Elizabeth Bazzano and Eddy Hansen in conjunction with Hansen's lighting design and Chris Schloemp's projections design give the production an otherworldly feel. Costumes by Pamela Johnson pop against the dark and dank (courtesy of ample fog) backgrounds. An extremely effective addition is a live music "soundscape," composed and performed by Nancy Hayashibara. Accompanying many scenes, Hayashibara's contribution to this production's success cannot be overstated. Look, folks, I'm no Shakespeare pushover. It's overdone, usually underproduced and often interminable, but I get it. It's royalty-free, has roles that are on every actor's bucket list, and comes with a built-in audience. Yes, it's long, but director Sheri Lee Miller has put together an outstanding production of Hamlet that should reach beyond that "Shakespeare" audience. Will they come? 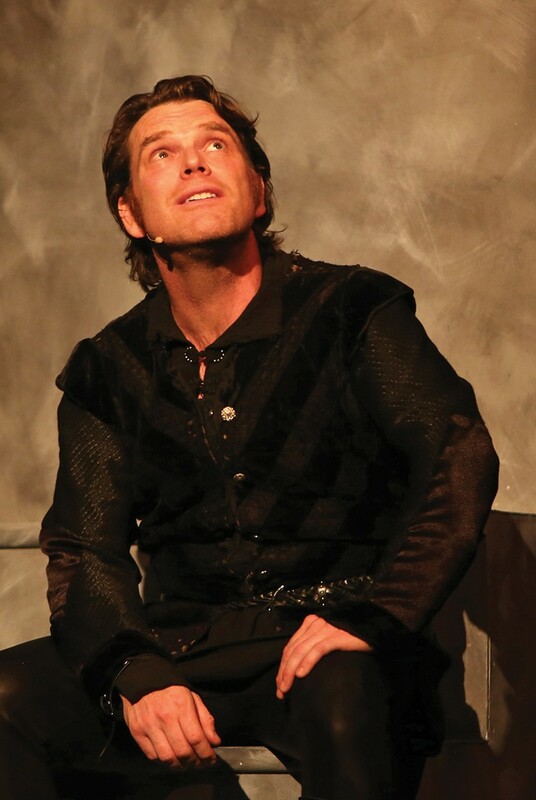 'Hamlet' runs through Feb. 17 at Spreckels Performing Arts Center, 5409 Snyder Lane, Rohnert Park. Friday–Saturday, 8pm; Sunday, 2pm; Thursday, Feb. 14, 7pm. $10–$26. 707.588.3400. spreckelsonline.com.